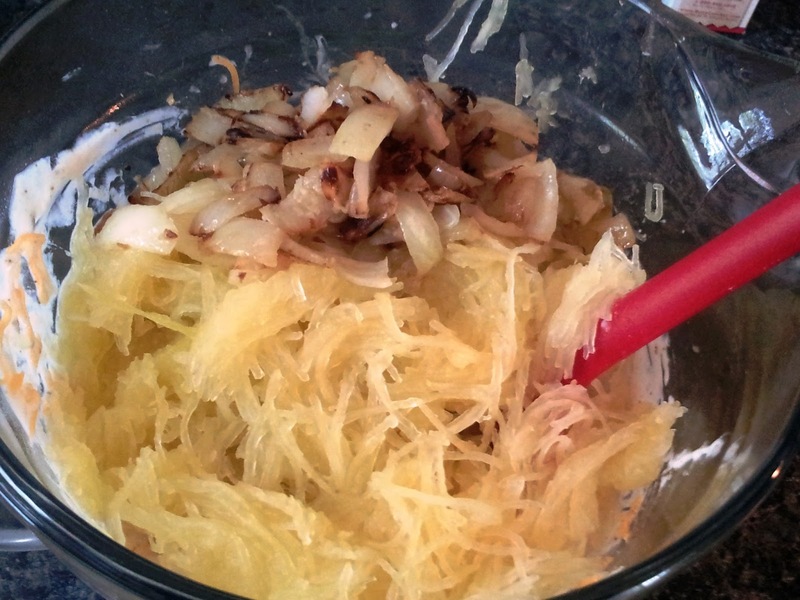 Spaghetti Squash Au Gratin is a favorite around my house. I am always looking for ways to serve it, and it has become a huge favorite! Perfect side dish next time you are looking for something to try! As soon as my hubby tasted it, he just kept saying how much he loved it! Jans' Tip: I did tweak the recipe though just a touch. I had added a whole can of soup. Was too much. I ended up draining some of it out, and still felt it was a little too much sauce, so I have cut that down in the recipe below, but if you make double batch, say for a family reunion or something, than a whole can would be perfect. Pierce squash with a fork in several places. While squash is cooking and cooling, saute onions and garlic with olive oil in skillet over med. high Heat until cooked tender and caramelized in color. 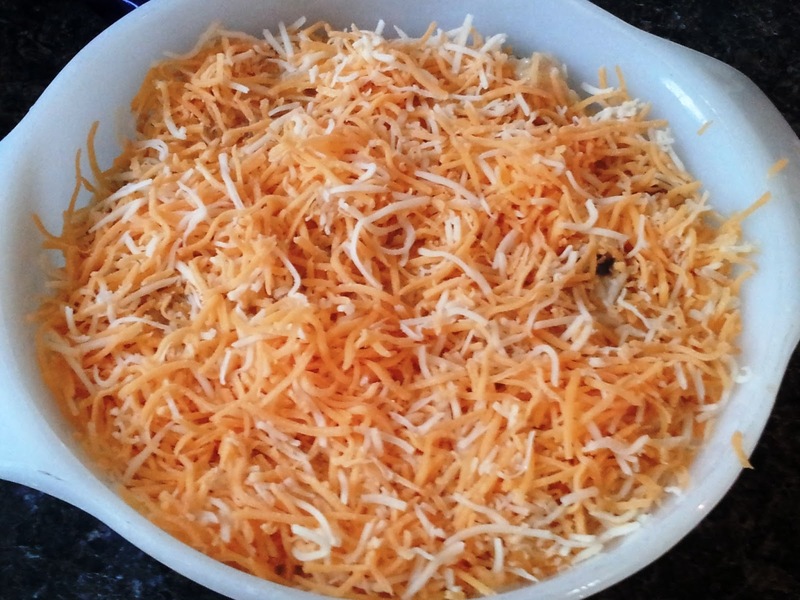 In large mixing bowl combine sour cream, soup, cheese, and onion mixture. Scoop out middle seeds and "goop"
Shred squash and scoop it into the mixing bowl. Bake 15-20 min. at 375 ° till cheese it melty and bubbling.